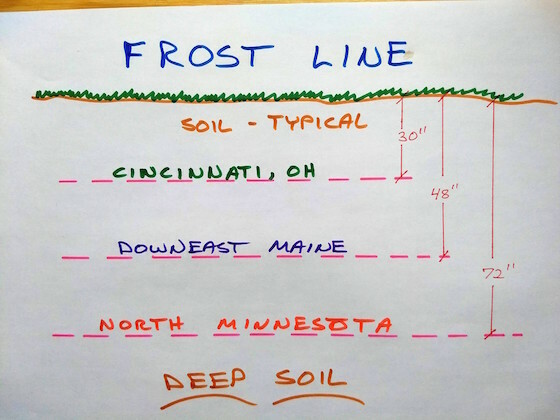 "The footing depth below grade is determined by two things: when you encounter strong soil and making sure you're below the local frost depth in your area." 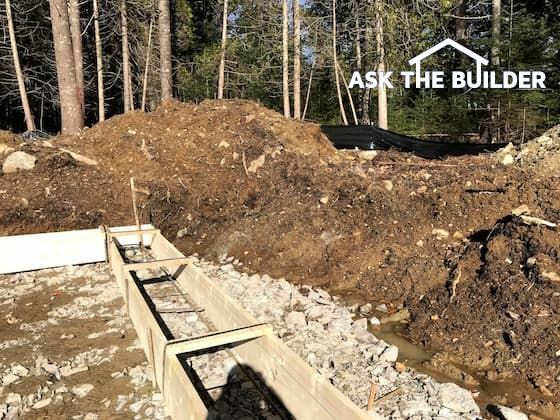 The footing depth of your garage, house, or building depends on where you're building and how strong the soil is on your lot. Cold climates create frozen soil in the winter. Water expands in the soil creating ice lenses. These layers of frost will lift a building out of the ground. Structural failure is guaranteed if the lifting is not equal around all sides of the building. It rarely is. Footing Detail - What Does a Footing Look Like? How Far Down Will Frost Penetrate? Frost can penetrate as deep as 6 feet or deeper. It's hard to believe, but it's true. Strong soil is that which will support the weight of the building being placed on it. Topsoil is not strong. 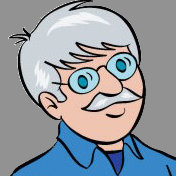 Any soil with organic waste or debris in it is not strong. Dense clay soils that are red, brown and light brown are usually very strong. Your local building inspector or a soil engineer will gladly inspect the soil to ensure it will not sink under the weight of the building. 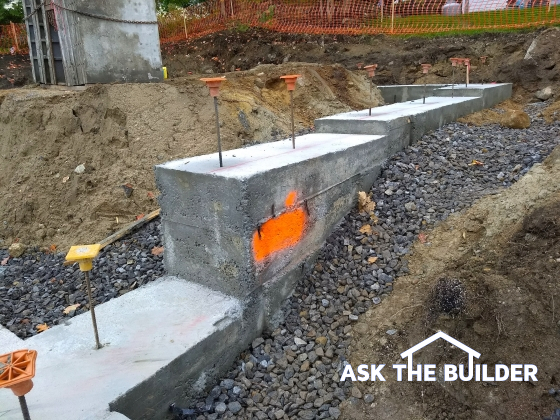 Should the Footing Be Level? 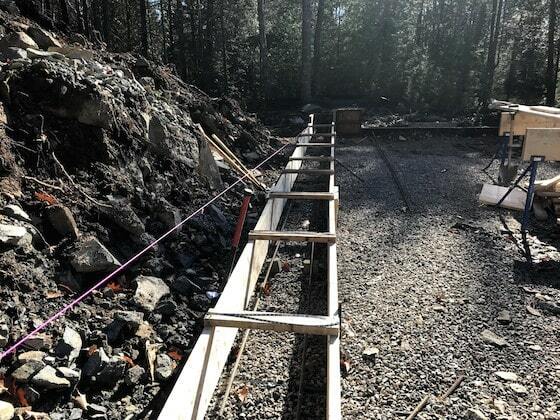 All sections of the footing should be level. 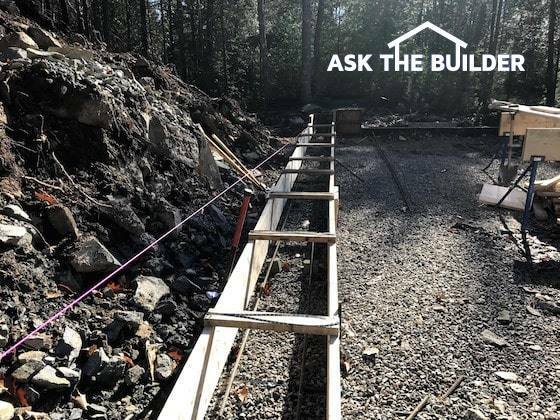 A building constructed on a sloped lot will have a stepped footing so all sections of the footing are below the frost line. Look at the following photo to see a stepped footing. The footing depth below grade is determined when you encounter strong soil and you're below the local frost depth.